We continue our conversation with Reed Cowan. 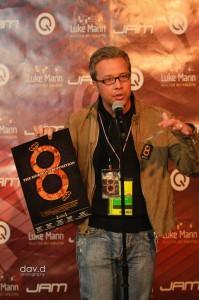 We talk with Reed about his film making career including his film controversial film “8: The Mormon Proposition”. We also talk to Reed about his decision to purchase a huge portion of the town he grew up in, and start a business there. To see pictures from our lunch with Reed CLICK HERE. Excellent, excellent podcast with Reed Cowan.